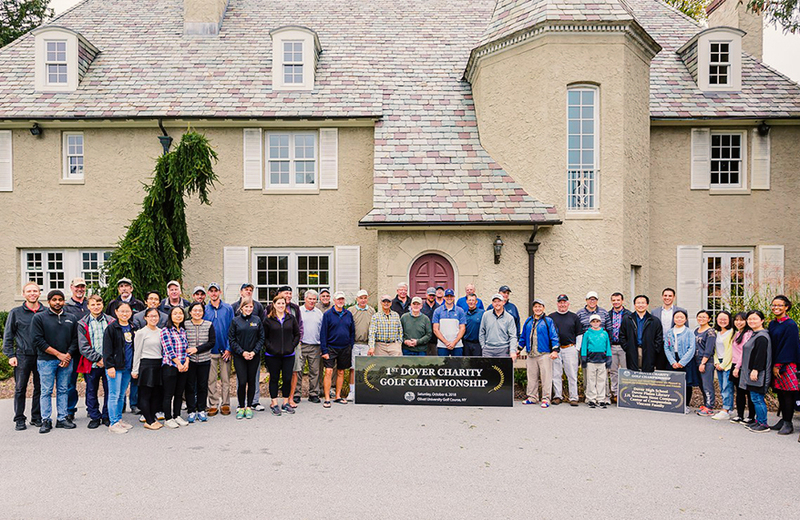 Nearly a hundred participants joined in at the Olivet University (OU) West Campus Golf Course for the First Annual Charity Golf Tour Championship in Dover, New York. The event was sponsored by Dover Greens and OU in supporting several Town of Dover organizations and friends in the spirit of serving the community. Dutchess County Sheriff, Adrian Anderson welcomed 75 golfers to the event and recalled some of the history of the town's golf course. He complimented the staff's diligence in keeping the OU Dover Campus project moving forward and how OU can contribute to the needs of the building community relationships throughout the Harlem Valley. "I've met with members of both Dover Greens and Olivet University on many occasions," said Sheriff Anderson. "They are good people and I ask all of you taking part in this charity tournament to do whatever you can to help them succeed," he added. The organizations and friends being supported by the charity event are Dover High School, Dover Plains Library, The H. Ketcham Hose Company (Fire Department), The Center of Compassion, and the Vincent Family. Dover Greens, OU students, and staff volunteered collaborated in making the weekend community event a fun and memorable experience.